The Dec. 9 gathering was organized by Dmitry Shuvalov, a Moscow deputy who balloted with the Communist Party in last year’s elections. But if his chosen location was meant to inspire revolution, it was not of the kind that brought the Bolsheviks to power. Shuvalov, who represents the Nekrasovka district on the southeastern edge of the city, had come with local residents, activists and fellow politicians to protest City Hall’s plan for handling the capital’s waste — nearly one fifth of the country’s total output. The question resonates particularly with Nekrasovka residents because the district is home to one of four new so-called “ecoclusters” — or packing facilities — where much of the capital’s trash will be compressed into bales. The bales will then be shipped to so-called “ecotechnoparks” — or storage facilities — across Russia. Officials have not yet announced when the new system will begin functioning, but preparations are barrelling ahead. For the protestors, City Hall’s plan amounted not to a solution, but a shifting of its burden to others. Calls for sustainable waste management by private citizens have grown increasingly loud over the past year. So has their anger. In part, residents suspect that official plans for waste management are masquerading as sustainable while effectively hiding problems from view. But they also feel that their demands have been falling on deaf ears. Sunday’s protests followed mass demonstrations in the northern region of Arkhangelsk a week earlier. Officials there have so far announced that 500,000 tons of Moscow's waste will eventually be sent to the region, a move which drew 30,000 people onto the streets, protest organizers said. 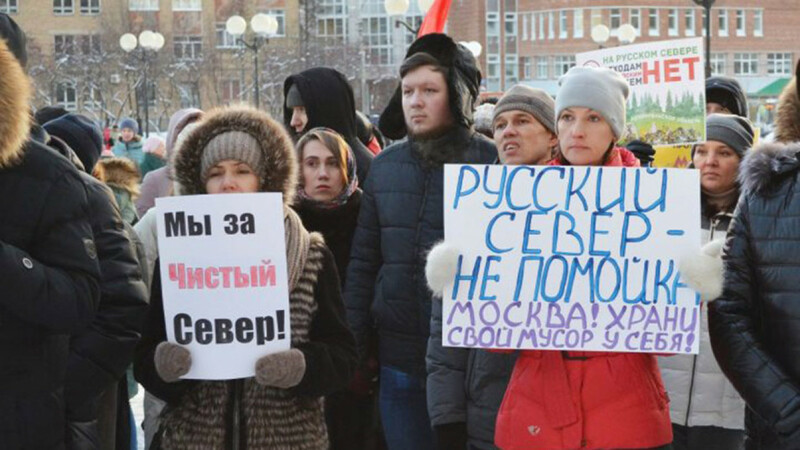 The day after the Dec. 2 demonstrations in Arkhangelsk, the region’s governor Igor Orlov said that the protestors did not represent the full population and that the region would continue to do whatever it could to help out Moscow. On Tuesday, Orlov denied a request by protest organizers for a referendum. The decision to send trash out of Moscow came as the country slid into an acute garbage crisis earlier this year. Thousands had turned out across the Moscow region this spring to protest the continued use of overflowing, Soviet-era dumps. The protests reached their peak in March when doctors linked the hospitalizations of nearly 60 children in a town outside Moscow to noxious gases emanating from a nearby landfill. In June, federal officials said that landfills in 10 regions around the country were facing “catastrophic” overflows. They also said that the strained dumps were putting at risk the health of 17 million Russians. To quell growing anger, the authorities moved to shutdown controversial landfills in the Moscow region. But they still needed to redirect the 6.6 million tons of waste that the capital was dumping on the surrounding region. Over the summer and into the fall, protests sprouted up in towns and regions around Moscow and as far as Arkhangelsk as activists uncovered what they thought were official plans to build new landfills, rather than find a sustainable solution to the waste crisis. But in mid-October, Arkhangelsk officials announced that what activists there had thought was a new landfill adjacent the Shies train station deep in the forest was actually an ecotechnopark which would store Moscow’s waste. Last month, the Meduza news outlet reported that officials have also identified another site in Arkhangelsk, and in Kaluga, Kostroma and Yaroslavl to build additional ecotechnoparks. Officials have said that the Shies storage facility will be able to take in 500,000 tons of garbage per year, and that it will able to be stored for 20 years. Neither officials nor a video advertising the Shies project have explained what will eventually be done with the trash. The lack of specifics has left an already skeptical public believing that the authorities are only selling a landfill cloaked in fancy terms. Their paranoia has only increased with officials having left them in the dark. Bo Anjsber sold his first waste baling machine to Russia two decades ago. Then he sold two more in 2003. But over the next 15 years, the Swede had trouble attracting further interest. In a country where dumping unsorted garbage into landfills had long been the norm, Anjsber’s technology for efficiently transporting trash to processing plants was seen as superfluous, says his director of sales for Russia and the former Soviet Union. “People would laugh in my face when I would explain what we were selling,” Valery Sepatov, a St. Petersburg native who is based in Stockholm, told The Moscow Times. But then, at a trade show in Munich this May, Anjsber says Russians suddenly showed “a lot of interest” in the product: a machine that compacts trash and packs it into polyethylene sacks, reducing transportation costs. Anjsber’s Sweden-based company, Flexus Balasystem, has since delivered three of the machines to Russia. The fourth is due to be delivered by the end of this month. In a phone interview, Vladimir Burmatov, the Chairman of the State Duma’s Ecological Committee, said that federal officials are supportive of Moscow’s decision to transport waste to other regions, calling it “necessary.” He also said St. Petersburg and the city of Sevastopol on the Crimean peninsula are working on similar measures. Indeed, from a longer term perspective, President Vladimir Putin has pledged to build 220 waste processing plants across the country by 2024. His plan calls for 60 percent of Russia’s solid household waste to end up at those plants. It is, however, a herculean task: According to the Natural Resources and Environment Ministry, 90 percent currently ends up in landfills. 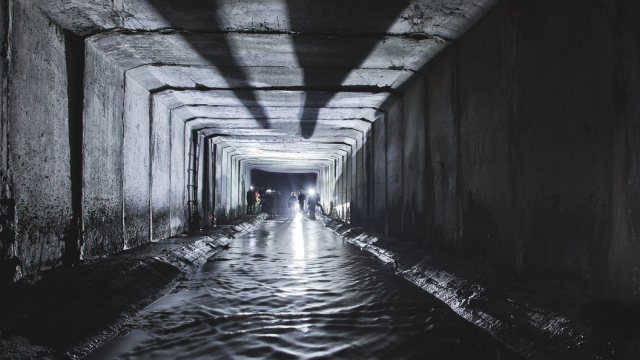 The plan also raises doubts among critics of Russia’s waste management systems. 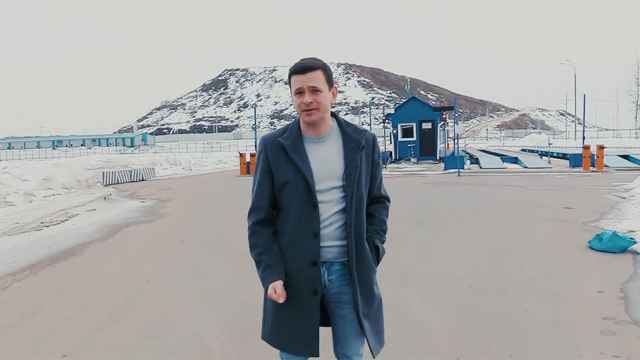 Alexei Kiselyov, the director of Greenpeace Russia’s toxics campaign, says that Russia already has the blueprints in place for effective waste management. What the country lacks is the initiative to carry it out. He points to legislation that Putin signed into law on Dec. 21, 2014, which prioritized the maximum use of materials, the reduction of waste — hazardous and nonhazardous — waste treatment and recycling. But the ideas laid out in the legislation have not been implemented, he says, and regional officials are carrying on business as usual. Kuznetsov of the Center for Ecological Initiatives explains that officials have stuck to the status quo because they are incentivized to collect as much unsorted trash as possible. The first necessary step, say both Kiselyov and Kuznetsov, is to sort waste into different bins at home. They also recommend installing garbage disposal units in kitchen sinks for food waste, which they estimate accounts for about 30 percent of all waste produced in Moscow. “Moscow could become like San Francisco in just three to five years,” says Kiselyov. But with the current authorities in charge, says Kuznetzov, that dream is unlikely. He points to whiffs of corruption in the development of echotechnoparks. 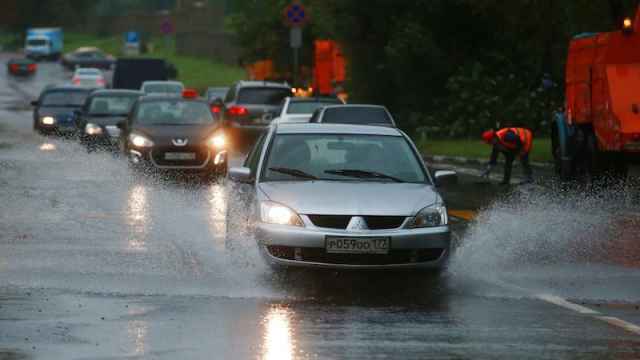 Last month, the Meduza outlet reported that the lucrative contracts to develop the facilities had been awarded to companies linked to Moscow City Hall. The article added that the tenders — worth a reported 10.5 billion ($157.5 million) for the Arkhangelsk facility alone — had not been made public, excluding any other companies from bidding. 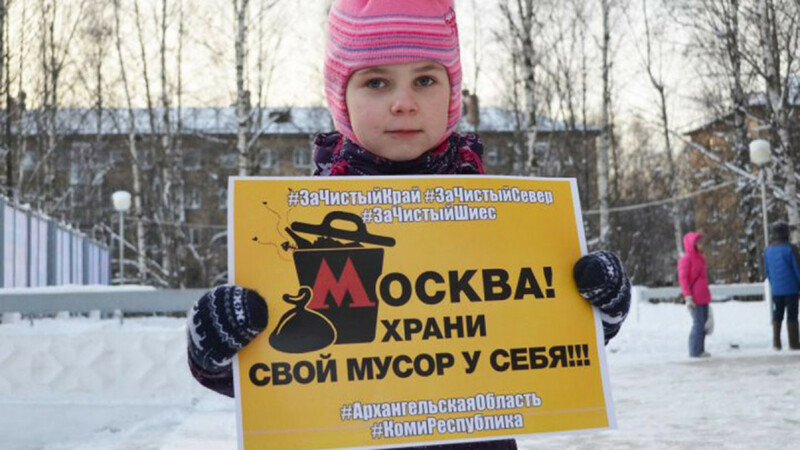 At the protests outside Moscow on Sunday, an activist from Arkhangelsk said he believes that modern Russia is encapsulated in the waste crisis. The protests, however, appear unlikely to stop the plan from progressing. Outside the entrance to the Nekrasovka ecocluster on Dec. 9, a security guard told The Moscow Times that Deputy Mayor Pyotr Biryukov had inspected the facility the day before; that Mayor Sergei Sobyanin was expected to visit the next day; and that, as far as he knew, the facilities are expected to begin operations by the end of this month. Nonetheless, some, like Nikolai Lyaskin, an aide to opposition politician Alexei Navalny and his campaign chief during his 2018 presidential run, see a long-term political opportunity. For political analyst Yekaterina Schulmann, that view is perceptive. She pointed to a recent poll by the Presidential Human Rights Council that found that the right which respondents felt was most violated by the authorities was their environmental safety. The mayor allegedly spent $77 million in City Hall funds on expanding the landfill eightfold. 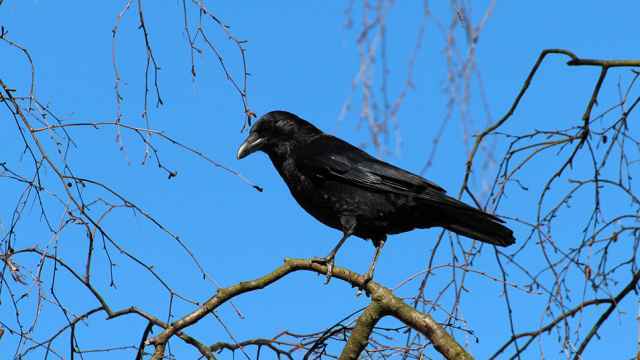 As spring approaches, Russian bird experts recommend exercising caution against crows protecting their nests. A tour of the Neglinnaya River takes you into a labyrinth deep under the city and (almost) all the way to the Kremlin.